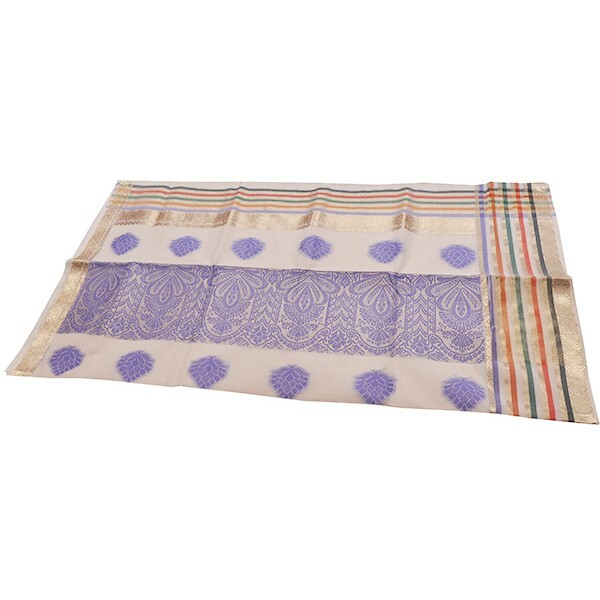 Stylish Kerala Traditional Kasavu saree with Rainbow pattern on pallu and border. 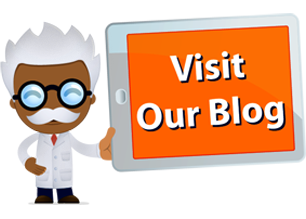 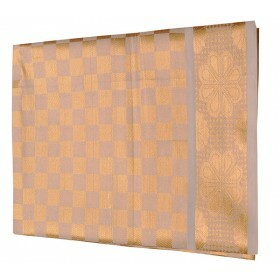 Saree is ideal for wearing as a reception saree or any traditional occasion. 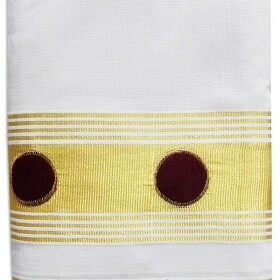 Its pure cotton fabric and 100% handmade kuthampully saree. 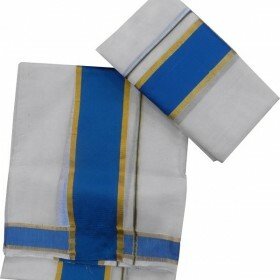 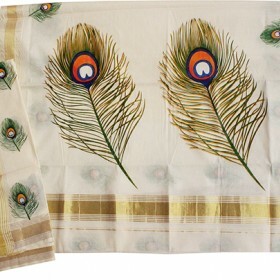 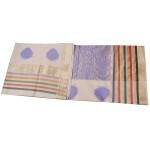 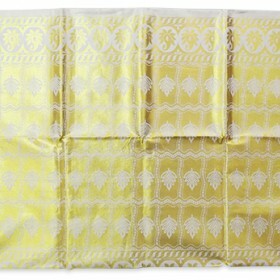 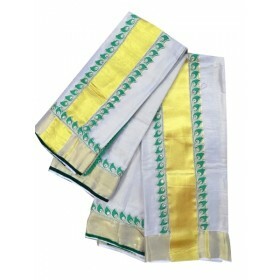 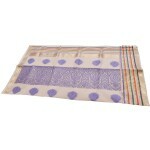 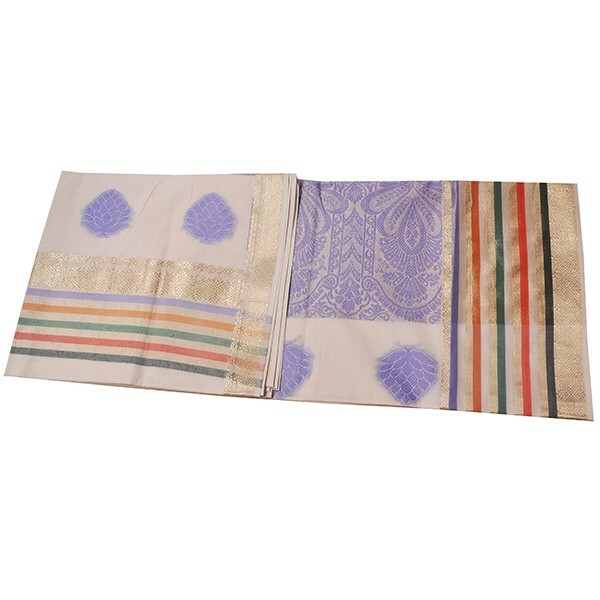 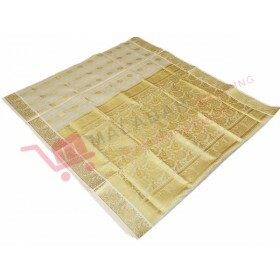 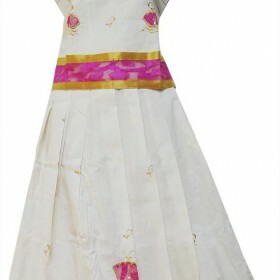 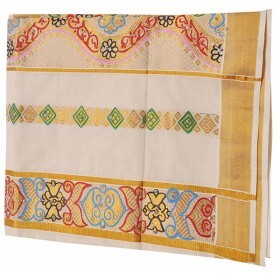 Just buy original handmade kuthampully saree at malabarshopping.com.